With just a few official releases under his belt on labels including mau5trap and Glasgow Underground, Enamour has already caught the attention of promoters across North America, playing in cities all along the East Coast. With his home base in DC, he holds a residency with Glow Washington D.C. at Soundcheck and Echostage (voted #1 Club in America by DJ Mag), and is frequently called upon for direct support at other renowned clubs such as U Street Music Hall and Flash. 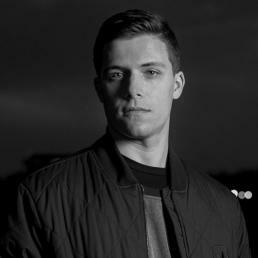 His ability to support such a diverse range of house and techno artists keeps him in high demand around the city. He’s supported some of the top names in dance music, including Eric Prydz (twice), Hot Since 82, Cristoph, Giorgio Moroder, Yotto, and more. Enamour was also selected by Lane 8 to support him on five dates of his Little By Little tour in early 2018 and was asked to remix “Skin & Bones” off of Lane 8’s new album. The remix, which stayed in the Top 100 Beatport Deep House chart for over a month peaking at #20, also garnered vast support from a wide ranging set of DJs, including Above & Beyond, Hardwell, Cosmic Gate, and Nora En Pure. Add on top of this that he has dozens of unreleased songs which are the highlight of each of his sets, and it is clear that 2018 is looking to be a breakout year for Enamour.